But also birds from march by Amir and Avi from Israel. Somewhere, somebody still has to find out if there is a substantial difference in moult timing between Oman birds and Israelian bird (and if this is related to different breeding populations). And of course the nice set of November-December images by Hans! Thanks Hans. One of the most comprehensive (the most probably) articles on heuglini has been added on the site. 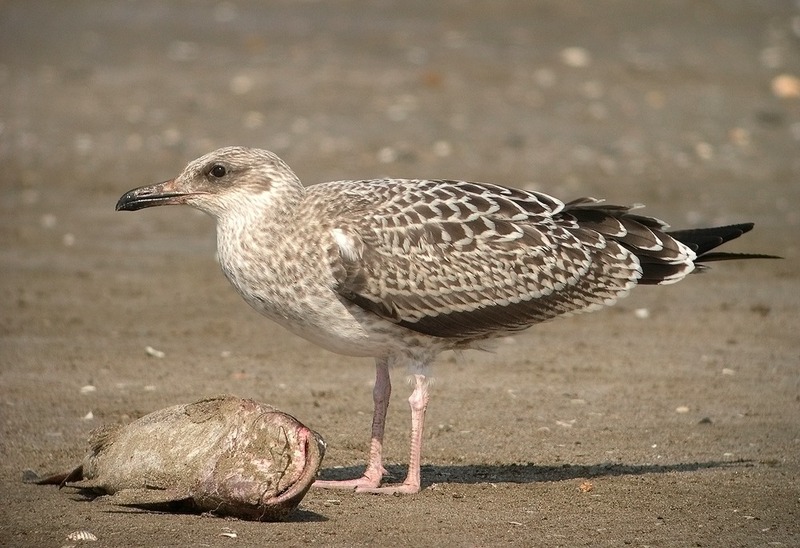 Characteristics and moult of "Baltic Lesser Black-backed Gull" Larus [fuscus] fuscus and “Heuglin’s Gull" L. [fuscus] heuglini by Visa Rauste. I translated this from German, so any misspellings, errors or other mistakes are all on my account. Section of Heuglin's Gull updated with 30+ images. Now with several images of 1cy October as well in Oman, many thanks to Aurélien Audevard. I have added the article of Buzun (BB 2002) with additional data on graellsii intermixed. With another late moulting LBBG in central Europe a few weeks ago, I hope it may be of any help? http://gull-research.org/heuglini/03cyjuly.html and it continues to 3CY December.